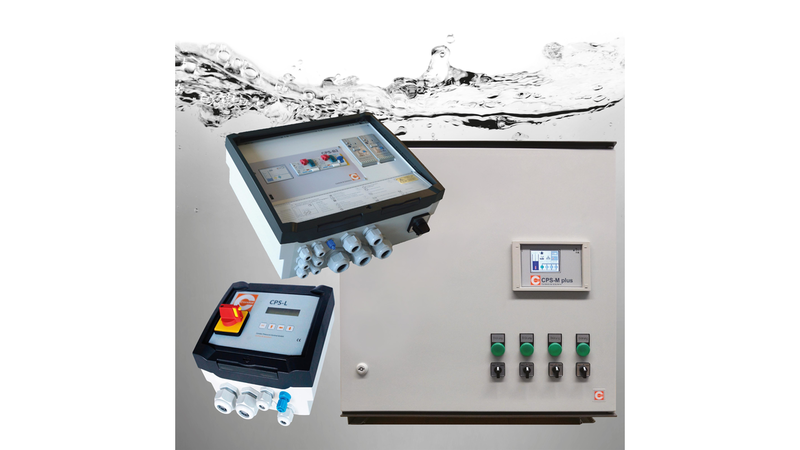 Condor offers standardized and custom control systems solutions for drinking water, raw water and wastewater. With our pump controls, we can offer you standardized devices for the field of waste water management, for example in waste water pump systems, ducts and pumping stations. For many price sensitive applications with limited available space, cost-effective but powerful pump controls are needed. one or two pumps ( max. 4 kW / 9A ). This pump control can be ideally used for pumping systems in the field of domestic waste and sewage water as well as rain water. For use in municipal, industrial, commercial and domestic applicatons. With high quality basic equipment in standard version (main circuit breaker, manual motor starter, new QVGA color touch screen...). Modular pump control CPS-M plus of the latest generation for more system transparency and function. They are designed for the automatic control for the operation of up to four pumps (max. 75 kW). in the control CPS-M plus. The pumps and systems can be monitored and operated remotely.